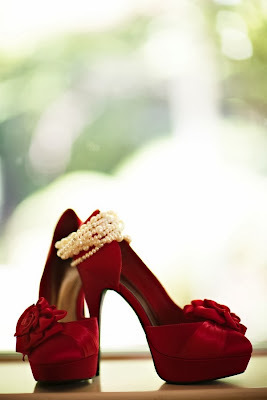 Red wedding shoes for your wedding are a fantastic option for the bride that wants to show off her wedding day shoes. 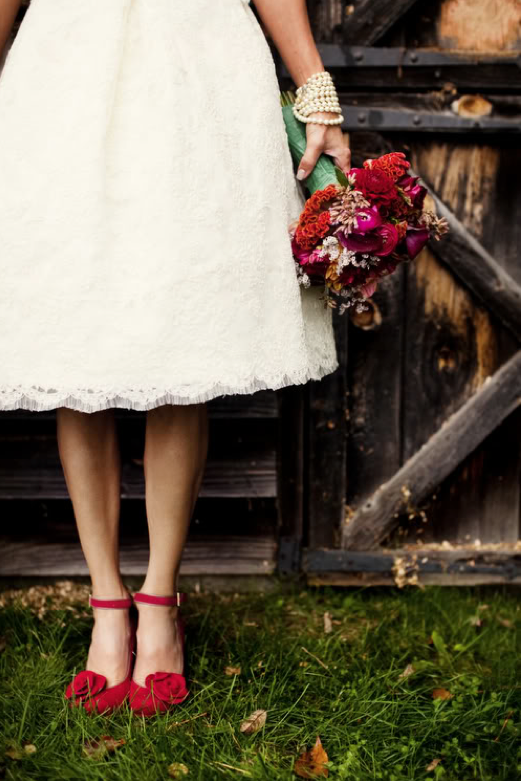 Most brides want to keep the colors safe and will go with a white or ivory shoe. However, for the bride that doesn't want to be seen in an all white or all ivory outfit, consider adding a pair of fun, colorful shoes. 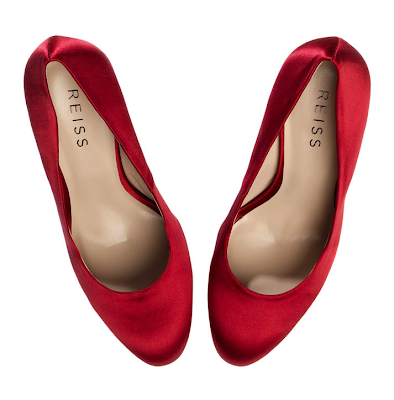 If your colors are red and lack or red and another color, consider buying a pair of red bridal shoes. The red works really well against a beautiful white wedding dress. Sometimes, depending on the shade of the dress, it will not work as well against an ivory dress. The ivory tends to bring out a yellow of address and pairing red shoes with that ivory color will bring out more yellow than white. But, if you are wearing a white wedding dress, consider adding a pair of red shoes. When you look for those shoes, make sure you look for a color that is right, but also not too bright. Unless you are the type of girl who is willing to be very flashy, you should not go for a very bright red. Instead, look for a more traditional, classic red that can be worn with blue jeans or black slacks. 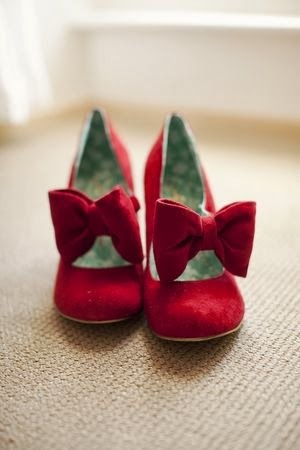 You know that your future husband will love those red shoes. Also, when you are looking for at the red shoes, consider buying a pair of wedding keels. You want the heels so that the shoes will stand out. A good heel with three or 4 inches works the best, however there are many great shoes that are less than 3 inches. Just remember that the higher the heel the more it will hurt so you may not want to buy something so high. I have seen some cases where brides wear red bridal flats, however that is much more rare. Normally the bride wears red shoes with wedding dress that are more classic and sleek. These days rights are choosing all sorts of different colors for their wedding shoes. Red is one of those fantastic colors that match really well with red roses. All of these are great symbols of love and fantastic to add to your wedding date outfit. The red shoes matched with the red roses make a perfect accent to your wedding day look. 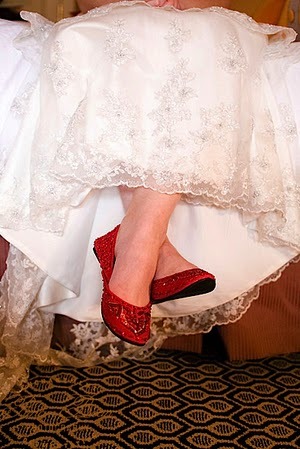 So, if you are bride that wants something different and fun, consider buying a pair of red wedding shoes for your wedding.